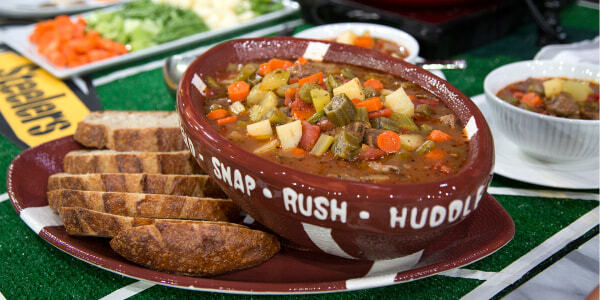 Feed a crowd on game day with caramelized onion dip, big-batch beef stew and a cheesy bacon and blue dip. 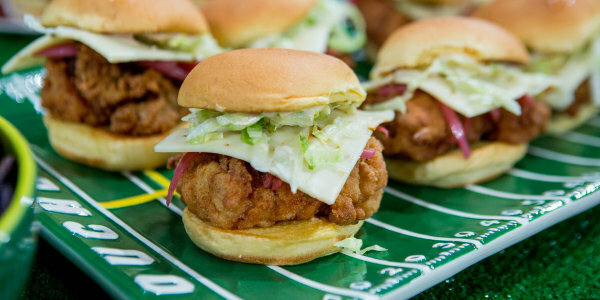 Elizabeth Heiskell of The Debutante Farmer is cooking up game-day grub to help celebrate the start of Thursday Night Football. 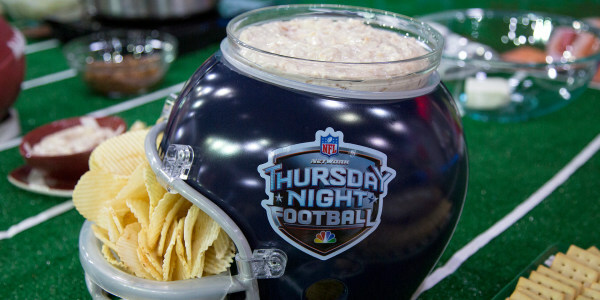 On this installment of our TODAY Food Loves Football series, Heiskell shows us how to make creamy caramelized onion dip, hearty beef stew with healthy veggies and a flavorful blue cheese and bacon dip with smoky roasted almonds. 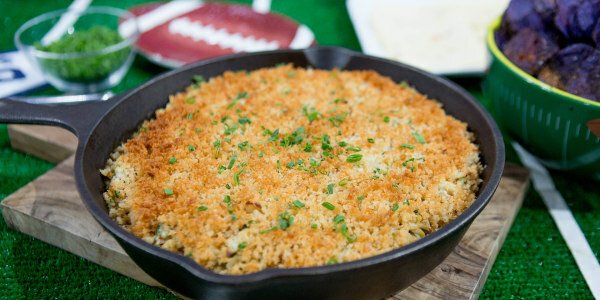 I love this recipe because it is perfect for serving a huge crowd. You can keep it on the stove all day and guests can serve themselves. It's perfect for long days of watching football. Creamy onion dip can be made easily without resorting to packets of artificially flavored powdered soup mix. It just takes a little patience to let the onions cook to a rich, caramelized golden brown. This delicious dip is well worth the wait and can be made ahead of time. 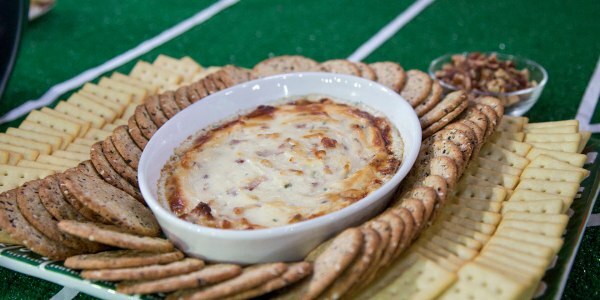 This irresistible dip combines the creamy tang of blue cheese with the salty, savory goodness of bacon. You might want to make a double batch; it tends to disappear quickly.